Hagerman Bobcat Stadium Football Field and Track development was started in 1990 and was completed in 2011. The rubberized surface is great for walking. Note: Not wheelchair accessible, gateway available only to pedestrians, no dogs allowed. Log In or Register to favorite trails and keep track of your walks! 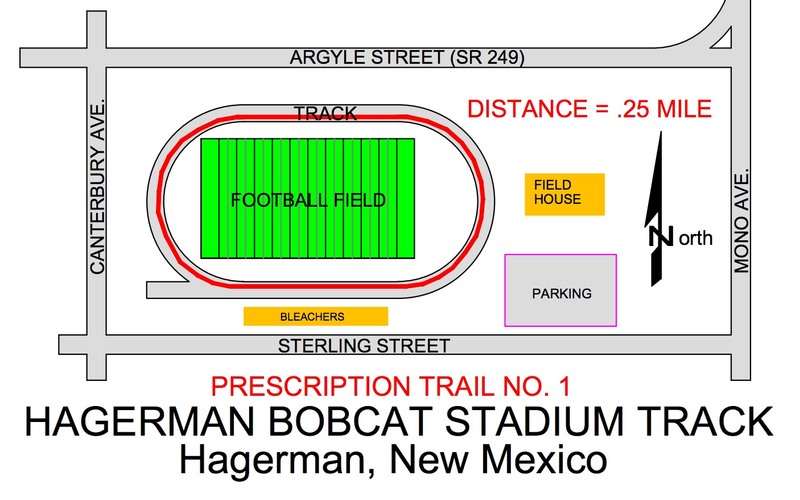 Hagerman Bobcat Stadium is a grade 1 [?] trail with one loop for a total of .25 miles (528 steps).